A Naming Ceremony is a significant and fulfilling experience for all involved. It is an occasion when a new birth is celebrated and a child is welcomed into the world. It is a wonderful time to consider the future and reflect on the amazing possibilities that lies before this child. It reminds all concerned of the great responsibility involved in bringing up a child. Significant people in the child’s life are encouraged to participate actively in the ceremony. During the ceremony, those who will have an important role in the child’s development are recognised and appointed. Certificates for parents, god-parents / guardians / mentors, grandparents, great grand parents and of course the child are issued to record the event. A bound copy of your ceremony will be presented to you as a memento. 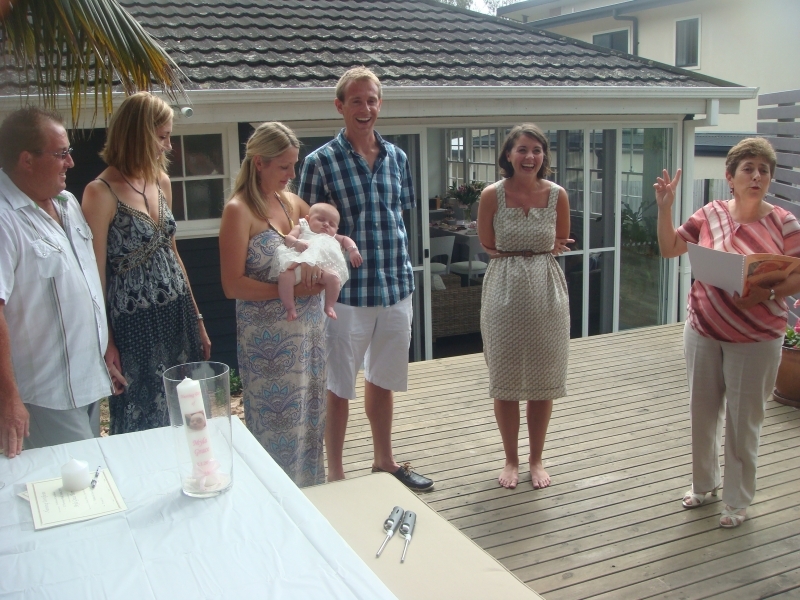 A Naming Ceremony is a wonderful and happy ritual which expresses joy, optimism and love.